In 1988 the Alaska Legislature designated February 16 as Elizabeth Peratrovich Day in honor of her advocacy efforts to eliminate discrimination and bring about equal rights to Alaska. 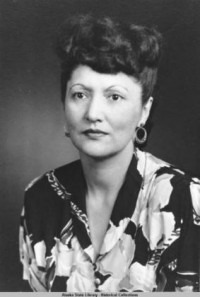 Elizabeth Peratrovich is credited with advocating for the passage of Alaska’s Anti-Discrimination Act of 1945, the first anti-discrimination law in the United States. Elizabeth was an Alaskan Native of the Lukaax̱.ádi clan of the Tlingit nation, an indigenous people of the Pacific Northwest Coast of North America. She was born on July 4, 1911 in Petersburg, Alaska. Elizabeth was orphaned at a young age and adopted by Mary Wanamaker and her husband Andrew, a fisherman and Presbyterian minister. She attended Sheldon Jackson College in Sitka, Alaska, and the Western College of Education in Bellingham, Washington. In 1931, Elizabeth married Roy Peratrovich (1908–1989), also a Tlingit, of mixed native and Serbian descent who worked in a cannery. They had three children and lived in Klawock, Alaska, where Roy was elected to four terms as mayor. In 1941, while living in Juneau, Alaska, the Peratroviches encountered more extensive social and racial discrimination against Alaska Natives. They had difficulty finding housing and often saw signs banning Native entry to public facilities throughout the city. As leaders of the Alaska Native Brotherhood and the Alaska Native Sisterhood, the Peratroviches lobbied the territory’s legislators and represented their organizations in their testimony. They petitioned the territorial governor to ban the “No Natives Allowed” signs. Elizabeth was the last to testify and is credited with gaining senate approval in 1945 due to her passionate testimony about the effects of discrimination. Alaska’s Anti-Discrimination Act of 1945 was signed into law 74 years ago on February 16, nearly 20 years before the U.S. Congress passed the Civil Rights Act of 1964. In 1955, Elizabeth became a member of the executive committee of the National Congress of American Indians. She died of cancer on December 1, 1958. She has awards, monuments, and buildings named in her honor, including the Elizabeth Peratrovich Award, the Peratrovich Gallery in the Alaska House of Representatives, and a theater in Ketchikan’s Southeast Alaska Discovery Center is also named after her. 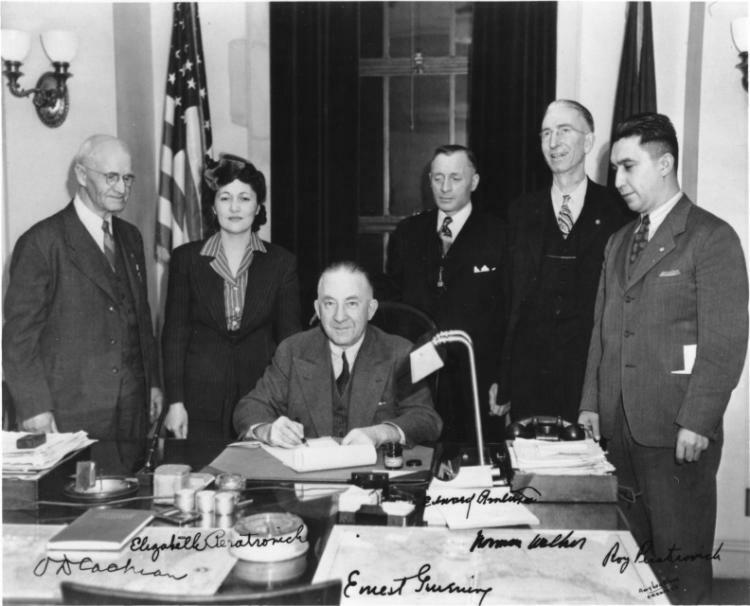 Although Elizabeth Peratrovich Day is not a federal holiday, it is locally observed in Alaska where some offices, institutions, and shops may be closed.